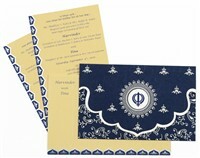 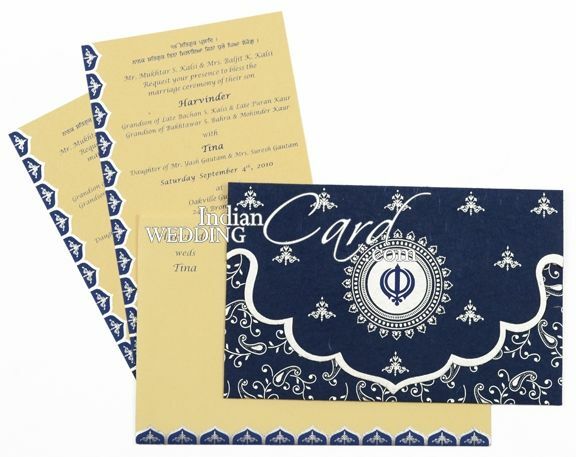 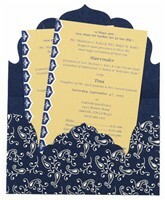 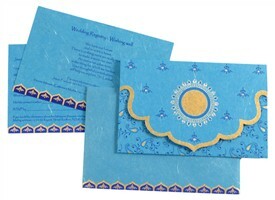 D-5005, Blue Color, Handmade Paper, Small Size Cards, Designer Multifaith Invitations. 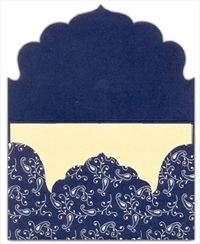 The front of this card has the upper fold in a traditional arch shape with a traditional motif all over with center having designer circular motif. 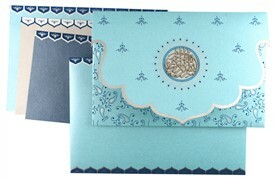 The lower fold has a floral design all over. 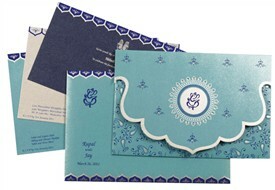 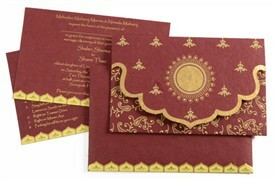 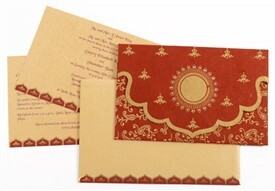 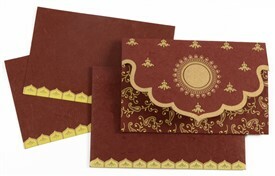 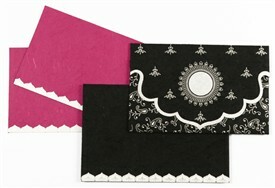 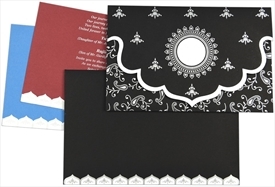 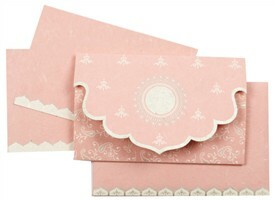 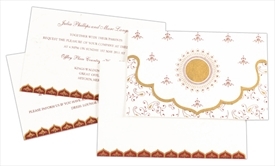 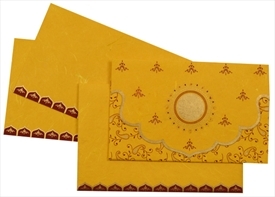 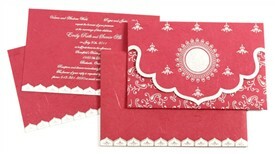 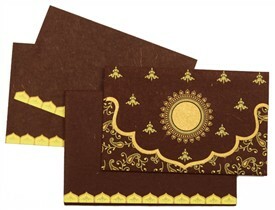 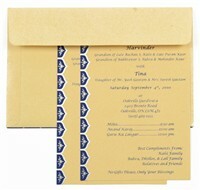 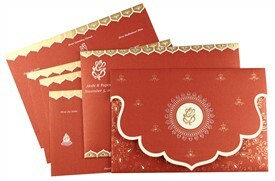 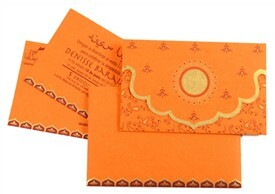 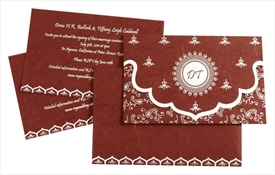 The inserts and envelope have arch shape border design. 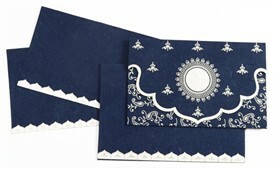 Blue color silk handmade paper for folding style card. 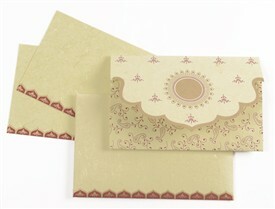 2 inserts (225gsm each) and envelope (170gsm) in Beige color self textured paper.